The man behind the Pope. 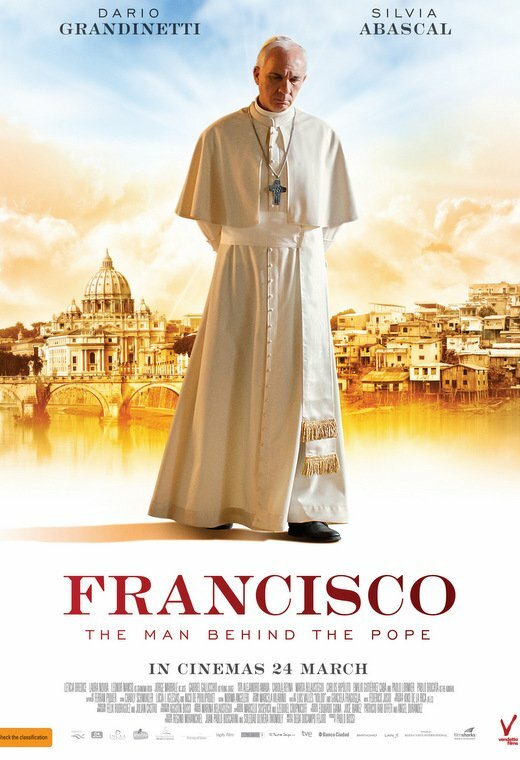 Francisco: The Man behind the Pope Synopsis When a teenager in Buenos Aires quietly discovered his religious calling, little did he know that this was the first step that would eventually lead him to the Vatican. It would carry him to become the leader of the Catholic Church, the man who the world knows today as Pope Francis. Young Spanish journalist Ana (Silvia Abascal) met Jorge Mario Bergoglio (Dario Grandinetti) at the Papal conclave of 2005. It is here that they began a friendship which would be imbued with the same warmth, good mood and wisdom with which the future Pope will astonish his followers. It is through Ana's eyes that we begin to follow the long, hard and touching journey of Jorge Bergoglio. Father Jorge, as he has always wished to be called, used his position as the archbishop of Buenos Aires as a means to challenge the corruption and abuse of the government dictatorship. Ana was there to see his toughest battles when he gave voice to those who had none; the victims of prostitution, slavery and drug trafficking within the many shantytowns. Their story comes full circle at the conclave of 2013 when a Jesuit priest from South America is elected on the fifth Papal ballot as Pope.